Assisted Reproductive Technology Market to hit $32.5 Billion by 2024: Global Market Insights, Inc.
U.S. assisted reproductive technology market is projected to grow by 4% during the forecast period. Increasing number of people suffering from infertility problems coupled with high technological adoption in the country will drive U.S. market. Moreover, increasing number of fertility clinics providing ART treatment should positively impact industry growth. 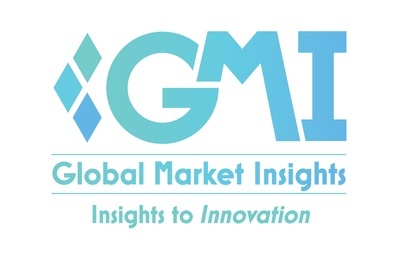 Global Assisted Reproductive Technology Market will surpass USD 32.5 billion by 2024; according to a new research report by Global Market Insights, Inc. Rising prevalence of infertility will act as high impact rendering factor for growth of assisted reproductive technology market. According CDC data, nearly 6.1 million (about 10%) women in the U.S., 15-44 years old face difficulty in getting or staying pregnant. Factors such as heredity, late child bearing and changing lifestyles are the major risk factors that lead to infertility should escalate demand for assisted reproductive technologies. The Digital Genome Market surpassed USD 20 billion in 2015, with expectations to witness around 9.5% CAGR from 2016 to 2024 owing to increase in the number of public and private investments, funds and grants has encouraged the development of new sequencing and analysis techniques. Global Biopreservation Market crossed USD 4 billion in 2017 and is expected to witness around 13.4% CAGR from 2018 to 2024 driven by increasing prevalence of chronic diseases such as cardiac, renal diseases, diabetes and obesity.